Mustard seed oil has a rich, tangy taste that is used by chefs to boost many dishes — especially Indian-inspired dishes. 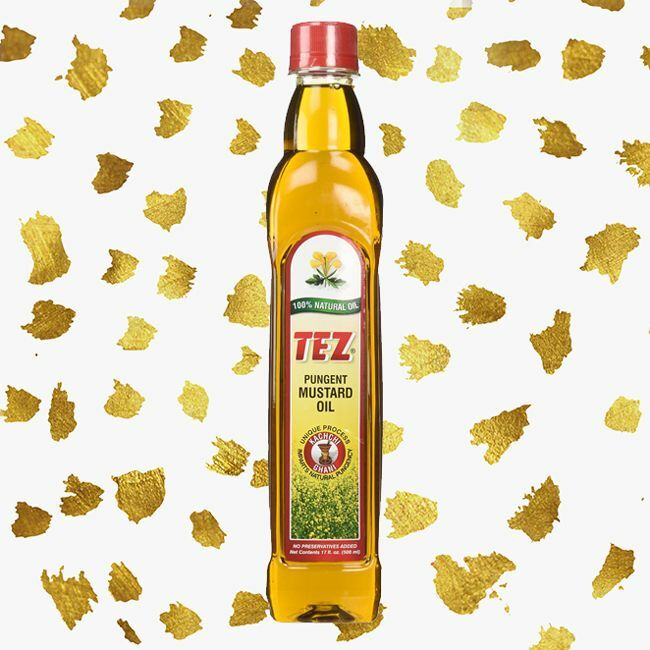 This invigorating oil not only accents foods, but you can also use mustard oil for hair growth. The method of massaging the scalp with mustard oil dates back as far as 4,000 years ago with the practice of Indian scalp massages. Massaging the scalp can help firm the skin and strengthen muscles in the head. This practice started in ancient India as a method for keeping long hair healthy. In the 1970s, this practice became well-known in the UK and has since spread to other parts of the world. Mustard seed oil is loaded with vitamins and minerals such as zinc, selenium, and beta carotene. Beta carotene converts to vitamin A, which is excellent in stimulating hair growth. The oil also has a lot of fatty acides, iron, calcium, and some magnesium. Thus, it conditions and helps encourage hair growth in all hair types. You can find mustard oil in Indian grocery stores or on Amazon. Once you have it, it is very easy to incorporate into your regimen. On dry hair, massage mustard oil into your hair and scalp, then cover it with a shower cap. You’ll want to leave this on for around three hours, so make sure you have plenty of time at home. After three hours, shampoo the mixture out, then condition as usual. Some CurlyNikki forum users leave it on overnight, then shampoo and do a deep condition (leaving it on for an hour) the following day. If you don’t have that kind of time, you can also just leave it on for about 10 minutes, using a blow dryer to generate heat and help the hair absorb the oils, then shampoo and condition your hair as usual. Do this at least once a week, but as much as three to four times a week if you’re suffering from hair loss issues. Yes, it does smell like mustard, but for both of these treatments using shampoo and conditioning afterward will get rid of any odor. Have you used mustard oil for hair growth, and does it work?